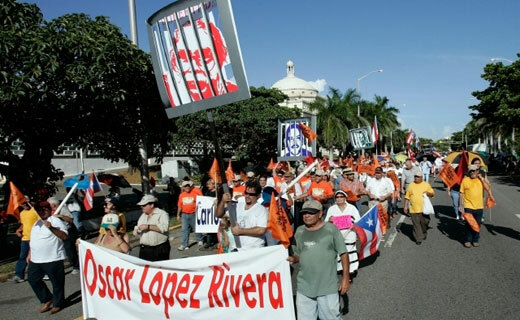 ORLANDO, Fla. – Supporters of Puerto Rican independentist Oscar Lopez Rivera marked the 32nd anniversary of his imprisonment on May 28 with events in Orlando, Chicago, New York, New Jersey, Puerto Rico, Washington, D.C., and other places. They added their voices to the swelling chorus saying ¡Basta ya! (Enough is enough!) and demanding Libertad para Oscar (Freedom for Oscar), through a pardon from President Barack Obama, for Lopez, 70 – the longest-held political prisoner in the history of Puerto Rico. The Central Florida event, a candle-light vigil, organized by the Orlando chapter of the National Boricua Human Rights Network, was held at a church in east Orlando. Lopez’s struggle and sacrifice make him an inspirational figure for many Puerto Ricans, who compare Lopez to former South African President Nelson Mandela, who spent 27 years in prison for resisting that nation’s apartheid regime. Many of his supporters believe that Lopez’s real “crime” was advocating for the independence of his homeland. “We have been held as a colony of the U.S. for 115 years,” said Rodriguez, adding that Lopez is “no different from Simon Bolivar and George Washington” and other leaders who helped liberate their nations from colonial powers. Colonialism is “a monumental injustice according to the norms of civilized humanity and a crime under international law…that constitutes a violation of the charter of the United Nations…No nation…has the right to take over another nation,” said Lopez at his 1988 trial for conspiracy to escape from federal prison. Some believe that case resulted from “a plot conceived and carried out by government agents and informants/provocateurs.” Lopez was sentenced to an additional 15 years, to be served after the 55 years he had received earlier. At this stage, Lopez’s only hope for freedom lies in a pardon from President Obama. His release enjoys wide support among Puerto Ricans, on and off the island, as well as from international dignitaries such as South African Archbishop Desmond Tutu. “The release of … Oscar López Rivera, after 32 years in prison, is an issue directly related to the basic principles of social justice, humanity and compassion,” said Puerto Rican Gov. Alejandro Garcia Padilla in a prepared statement. “Justice demands his release.” Garcia also raised the issue of a pardon for Lopez during a meeting with Attorney General Eric Holder on June 10. Lopez is a decorated Vietnam veteran and former community activist working on issues of poverty, discrimination, education, and police brutality in Chicago’s Puerto Rican neighborhoods. He was arrested in 1981, and convicted of seditious conspiracy, for allegedly being part of an underground group, the Armed Forces of National Liberation (FALN, in Spanish), which engaged in armed resistance in the 1970s for the independence of Puerto Rico. Lopez was sentenced to 55 years in federal prison. He was not convicted of participating in any acts that caused injury or death to any one. 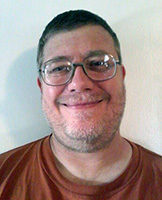 “Since I have been in the gulags all of my communication has been intercepted and monitored, including my legal mail. My family has been persecuted and criminalized…. “The last 14 years I have spent in this gulag, Terre Haute. And the harassment has not stopped. Several times my art materials have been confiscated or lost, art work destroyed, family visits stopped, and I still have to report to the jailers every two hours. Those interested in learning more about Rivera’s life and struggle may want to check out Oscar Lopez Rivera: Between Torture and Resistance, a book released in February. It was edited by Lopez’s lawyer, Luis Nieves Falcon, and is based upon Lopez’s statements and letters he has written to Nieves and family members while in prison. The book’s introduction is by Archbishop Tutu.